Asbestos can present several risks to the health of your workers. Thus, asbestos awareness should never be overlooked. When you are conducting construction safety training, one of the most important elements to keep in mind is the presence of asbestos. Asbestos can present several risks to the health of your workers. Thus, asbestos awareness should never be overlooked. Here is everything you need to know about asbestos and how dangerous it really is. Asbestos is most commonly found in buildings that were constructed before the year 2000. Although there have been ongoing removal efforts, many buildings still contain asbestos. Asbestos is typically concentrated in the walls of a building, and it is almost indistinguishable from average insulation. 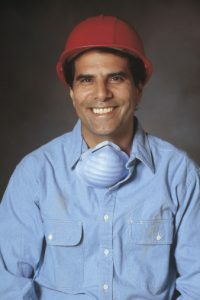 The main reason it is so vital to encourage asbestos awareness is to protect workers, employees, and visitors from the health risks that exposure to asbestos can bring. Asbestos can lead to a slew of health problems from lung cancer to mesothelioma which can be deadly. Exposure to asbestos doesn’t immediately lead to the development of lung cancer. However, it can increase the chances of developing it, especially due to frequent exposure. Frequent exposure to asbestos and smoking will make for a deadly combination. Smokers are at a greater risk for lung cancer, but even non-smokers have a higher likelihood of disease when exposed to asbestos. Asbestos can also lead to a rare type of cancer called mesothelioma. Although mesothelioma is exceedingly rare, it’s typically diagnosed in patients who have come into regular contact with asbestos. Mesothelioma is so dangerous that even handling or washing the clothes of someone exposed to asbestos can cause you to develop the disease as well. The fact that even indirect asbestos exposure can have such serious consequences is another huge reason why spreading asbestos awareness is so important. Asbestos can affect the lungs when it is inhaled. The asbestos damages the affected lungs, causing them to become inflamed. The lungs are quickly covered in scar tissue, which leads to asthma and related respiratory illnesses. In some cases, asbestosis can even cause total respiratory failure. Asbestos can commonly be found in homes as well. You will need to send samples of potential asbestos to a credible laboratory for analysis. If you think your home may contain asbestos, it is ideal to contact a professional to collect samples for you rather than attempt to collect the samples yourself. If you live in an apartment, how can you determine if the landlord owes you money due to negligence over asbestos removal? Unfortunately, building owners are only legally obliged to notify their tenants about the presence of asbestos and are not obligated to remove it. However, in general, tenants do have some options – such as threatening to break their lease or finding an attorney who can help them. This entry was posted on Thursday, August 3rd, 2017	at 6:27 pm	. Both comments and pings are currently closed.